Low lighting softens the white walls and timber at L’uccellino, while linen-covered tablecloths and gilt mirrors add a luxe touch. 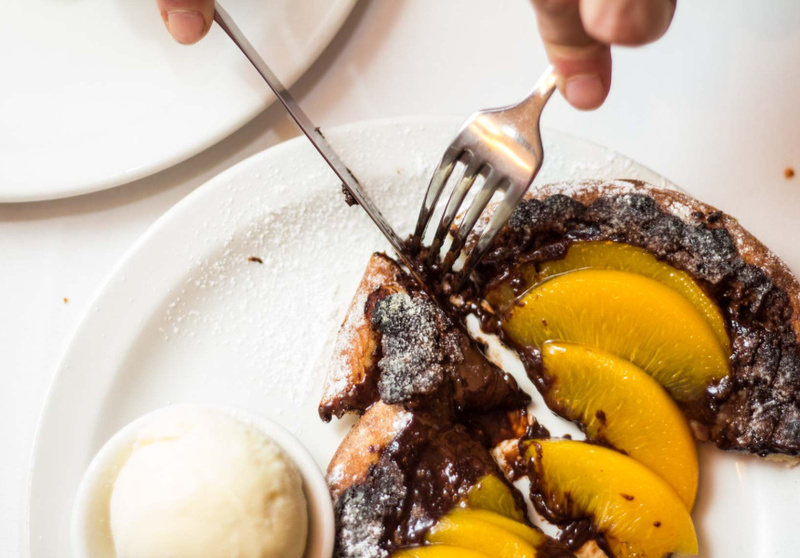 The cosy dining room feels intimate rather than cramped, and friendly staff members create a welcoming mood. There are primi dishes to start, such as warm olives or red peppers and goat’s cheese, or simple salads. But pizzas are the star: the thin 12” discs are softly chewy with slightly charred edges. 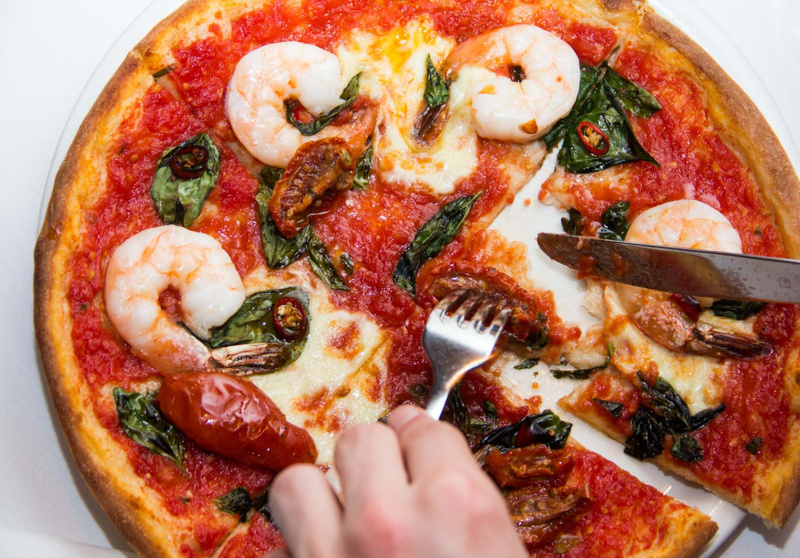 There are more than 20 options to choose from, ranging from simple margherita to prosciutto and pear, or the cutely named “pizza for a friend” (fior di latte, roasted pumpkin, pine nuts, rocket and goat’s cheese). All pizzas can also be made with gluten-free bases. Leave room for the dessert pizzas: perhaps strawberry and dark chocolate or a banana and custard calzoncino. 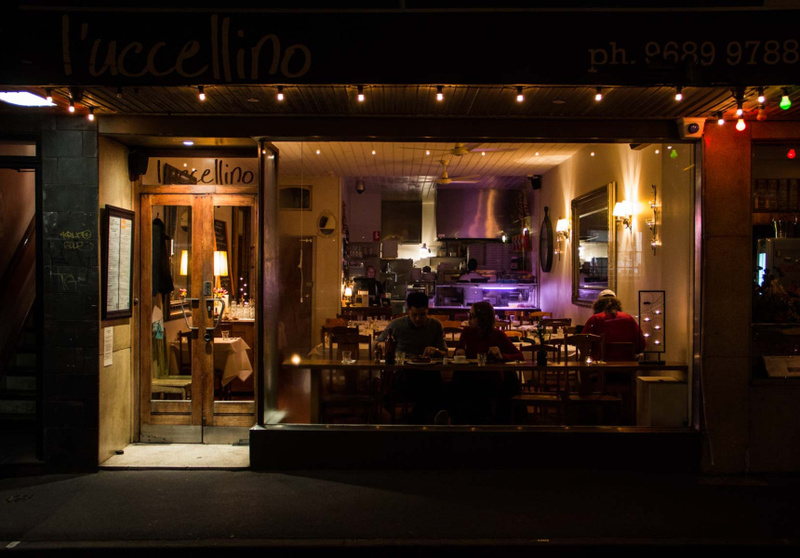 L’uccellino is licensed, with a short, thoughtful wine, beer and cider list.